Vietnam visa requirements for Singapore. Do Singapore citizens need a visa to Vietnam? We wish to inform that: if you are a Singapore passport holder, you have to obtain a Vietnam visa in case you stay in Vietnam for more than 30 days. Do Singapore citizens need a visa to Vietnam? Yes, Singapore passport holders need a visa to Visit Vietnam. We wish to inform that: if you are a Singapore passport holder, you have to obtain a Vietnam visa in case you stay in Vietnam for more than 30 days. According to the regulations of the government of Vietnam, Vietnam Immigration Department, all the citizens of the countries in the world and the Singapore passport holders can apply visa to enter Vietnam. Singapore people can apply for Vietnam visa on arrival for purposes such as tourism, trade, work, relative visit, medical treatment, marriage, etc. 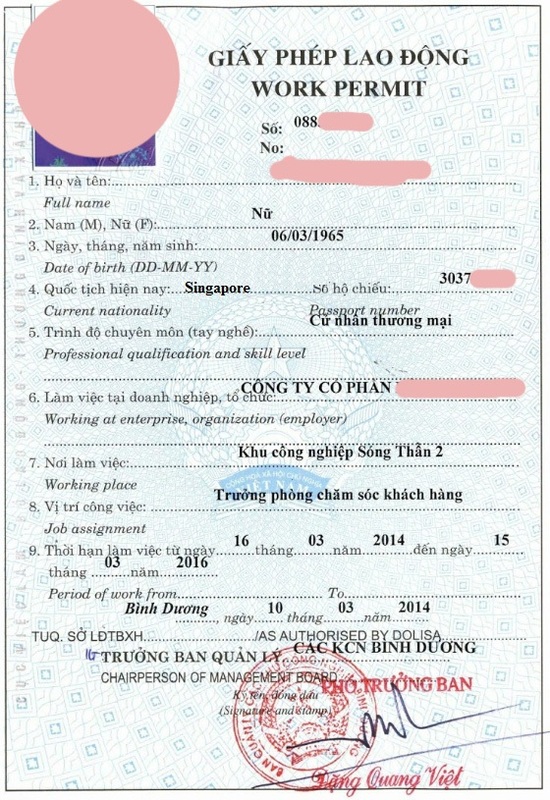 – Firstly, passenger must scan documents and information then send email to us: Passport surface of Singapore person and scan business registration certificate of Vietnamese Company, Expected Date of Entry and Place of stamping Visa. Procedures for work Visa are the same as trade Visa. To apply for work Visa, a passenger must have the work permit in Vietnam; otherwise, a passenger can only apply for trade or tourism Visa. Time for tourism or trade Visa for Singapore people can be faster than 5 days; Or Visa can be obtained urgently in 01, 02 days but passenger must pay the extra fee. – Singapore people can apply for Entry Visa online on our website or via email to us. – The passenger can go to the Embassy and apply for the visa at Vietnam Embassy in Singapore or Vietnam Embassy in another country. In case Singapore citizens come to Phu Quoc, Vietnam via international ports (included by air or by sea), stay at that ports and head to Phu Quoc Island, they are exempted from Vietnam visa not more than 30 days. It is only applied for people going to Phu Quoc. If they go to other places, they must make visa as usual. How can i get a vietnam visa in singapore ? To have contact information of the Vietnam Embassy in Singapore, please access our homepage and find the box Vietnam Embassy location. According to the provisions of the Government of Vietnam, foreigners in general and Singapore passport holders in particular are only allowed to stay in Vietnam for 06 maximum continuous months. – In case they want to work for long time in Vietnam, Singapore must have a work permit in Vietnam. We will instruct you how to get it (Work permit can be extended). – After obtaining work permits, Singapore can make 2 or 3 years residence card which can be extended. – If Singapore is spouses, children of the Vietnamese, they can make 5 Year Visa Exemption (We will talk about this later). Before coming to Vietnam, Singapore should prepare the following documents to save the time to come back to your country. – The certificate of at least 5 years working experience of the company which should be governed by the foreign diplomatic of that country. The foreigners should ask for some copies of this document. 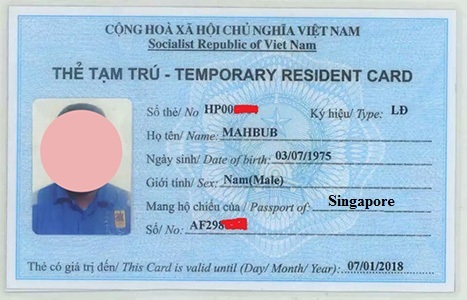 If a Singapore person has Certificate of Marriage with Vietnamese, passenger can apply for 03-year temporary residence card. When obtaining this 03-year temporary residence card, passenger can stay in Vietnam for 03 maximum continuous years under the term of the card without exit or visa extension. However, the purpose of this temporary residence card is to visit relative so passenger must still obtain work permit to work in Vietnam. 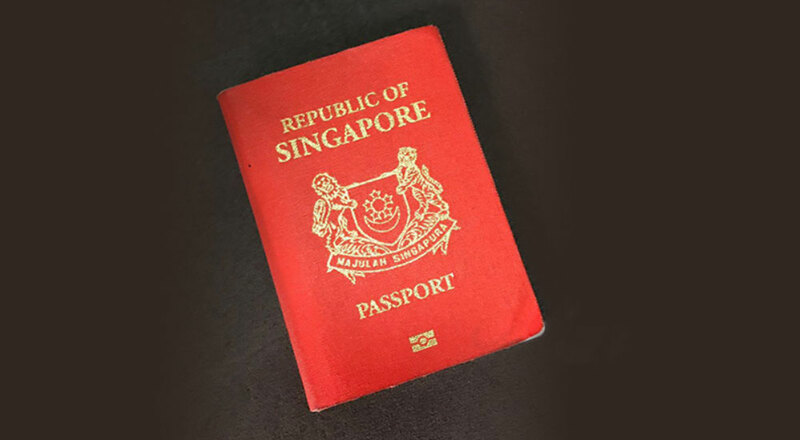 – The Singapore who hold foreign passport are spouses/children of Vietnam passport holders. Singapore, officially the Republic of Singapore, sometimes referred to as the Lion City or the Little Red Dot, is a sovereign city-state in Southeast Asia. It lies one degree (137 km) north of the equator, at the southern tip of peninsular Malaysia, with Indonesia’s Riau Islands to the south. 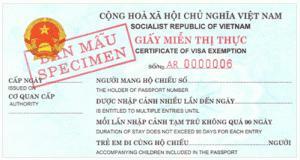 Where can we find the application form for the entry visa (for Tourists) when traveling by bus/boat to Vietnam? Or do we have to come to the embassy and fill it in directly there? Me and my spouse are both Swiss citizens living in Singapore. 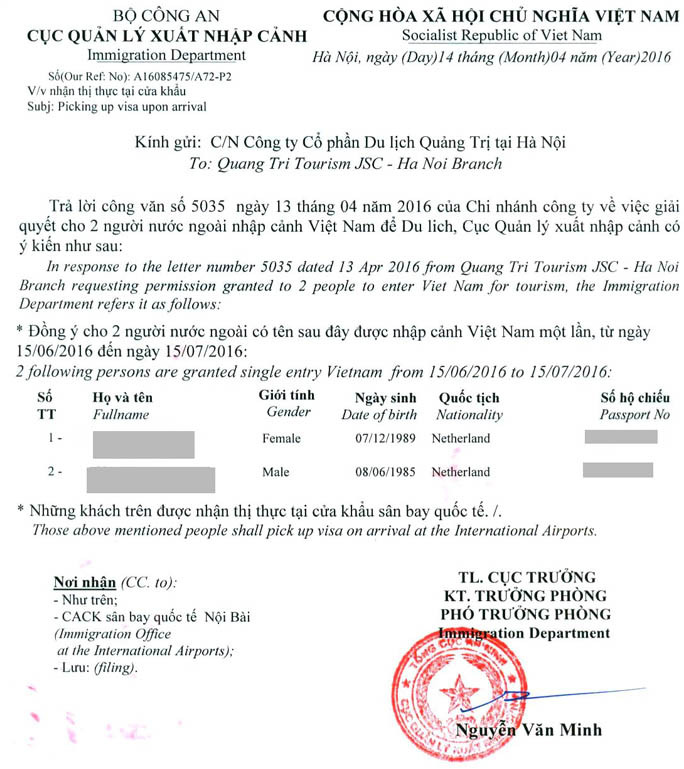 So far we always traveled by plain to Vietnam and we made use of the Visa on Arrival option, but this time we’ll enter Vietnam at the land port Vinh Xuong (Chau Doc) in May 2019. We’re looking forward to your advice and reply. Application Form you will get at Embassy when you come there to apply for a visa.